Google Analytics Intelligence (GAI) is a powerful analytics tool that uses machine learning to offer invaluable customer insights. In essence, GAI answers questions you have about the state of your business, analyzes your data to give you insights into significant traffic changes and powers Smart Goals, Smart Lists, Session Quality and Conversion Probability to help you convert more sales. GAI’s automatic insights are super helpful, yes, but it’s the custom alerts that make this tool amazeballs. 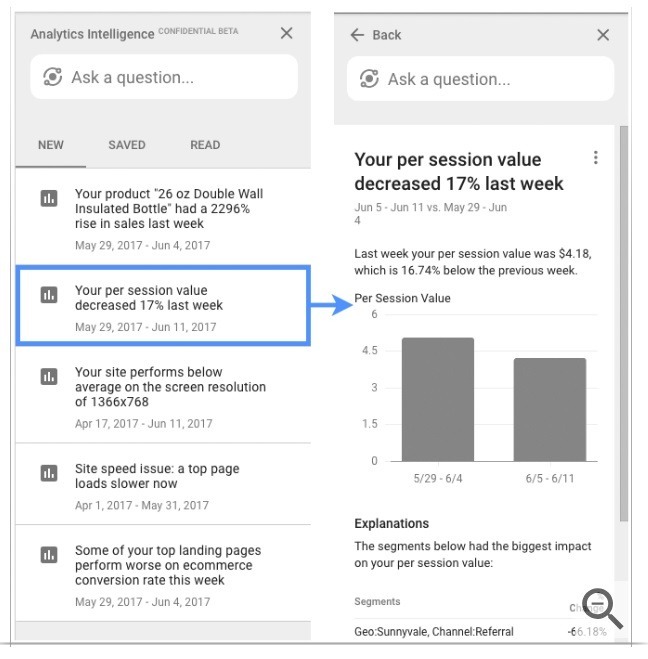 In this post, we will guide you through best practices on creating questions for Google Analytics Intelligence – questions that will help the tool provide the best insights for your business. As well as tips on helping you understand the query quality and the answers you’re likely to receive, to ensure you make the most of GAI. The first thing to consider is two things: GAI has some limitations and you need to consider that you’re talking to a computer, not a human. In short, Google Analytics Intelligence will point out patterns and trends, but you will need to be aware of how to work around the limitations. GAI can’t advise you on what you should do with that data, like asking which campaign you should spend more on. How many sales did I do yesterday? Which locations are my new customers from? Share of revenue by country last quarter? Which products had over 200 unique purchases? 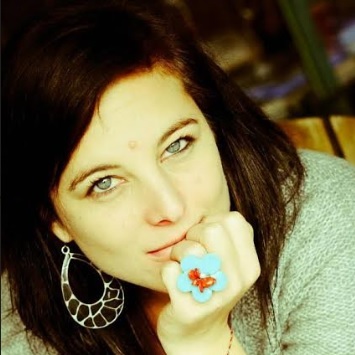 What is our conversion rate in [location]? 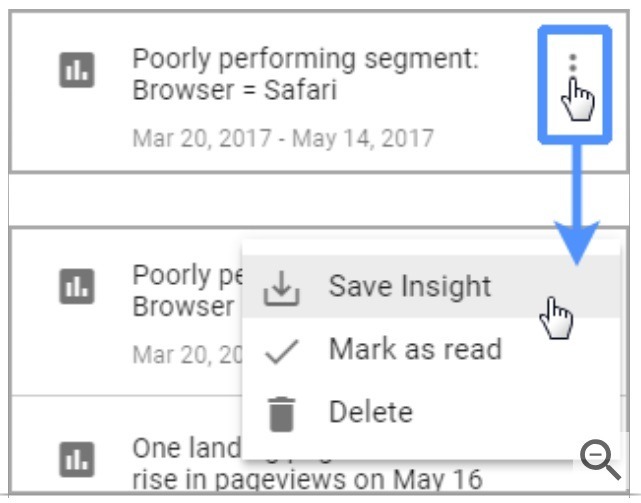 To view insights and set up your Google Analytics Intelligence, go to ‘Reports’ from your Google Analytics dashboard and click the ‘Intelligence’ button. From there you can view, save, delete or mark the insight as ‘read’ and add your questions. 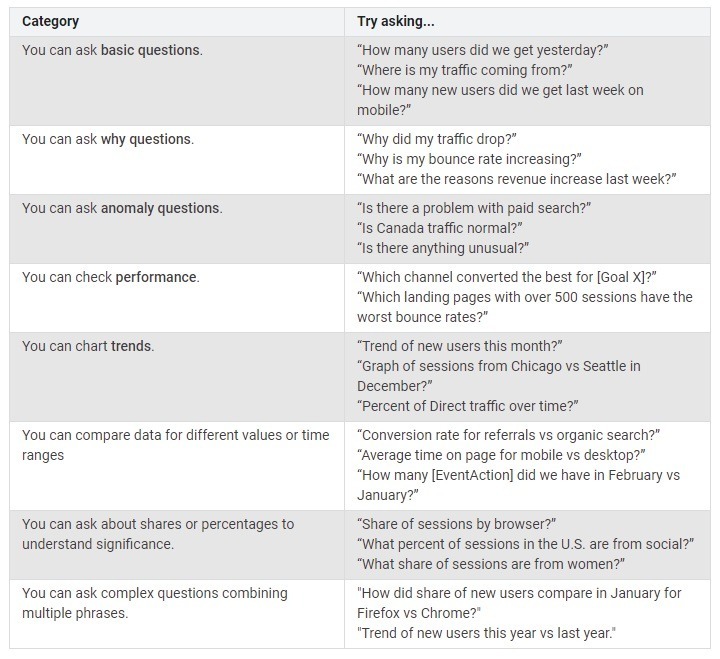 Google Analytics Intelligence uses dimensions (things like new users, new customers and countries, and keywords such as ‘where’ or ‘which’) to help answer and display these queries. These dimensions, along with the sentence structure, are the key to presenting these insights. Beginner’s Tip: This is different from metrics, which are the variables presented in the insight reports. Here’s a list of the main dimensions from Google and how to use them to create your questions. Here’s Google’s full dimensions list with question examples and their tips on best practices for GAI questions. Ultimately, GAI can do wonders for your business, giving you in-depth data and insights into your business, marketing and shoppers. New to analytics? Post your questions in the comments below and our Google experts will answer them for you. You can also check out our beginner’s guide: Google Analytics for eCommerce. This entry was posted in eCommerce Tools, Google Analytics. Bookmark the permalink.